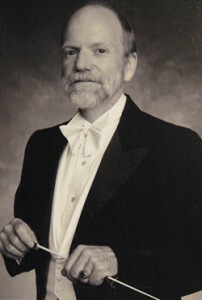 Les Fillmer is chairman emeritus of the Alabama School of Fine Arts Department of Music. He retired from the Alabama School of Fine Arts after having served there for 28 years as an artist-teacher, musician, and administrator. He developed and implemented the music curriculum still in use today and it is a curriculum widely regarded as among the finest in the nation. Les Fillmer began his professional career in 1967 as the arranger of an album for Apostolic Studios in New York City. He then served as a staff musician and arranger with the United States Air Force Academy Band, where his music was heard and enjoyed by visiting heads of state, Apollo astronauts and numerous other dignitaries. He has written arrangements for Arthur Fiedler and Richard Hayman, both long associated with the Boston Pops Orchestra. Les Fillmer’s compositions and orchestrations have been performed by a wide variety of musical organizations including the St. Louis Symphony, the Alabama Symphony, Independent Presbyterian Church Choir and the Alabama School of Fine Arts Chamber Players. He composed the musical score for “The Gold Disk of Coosa,” a three-part radio drama which earned a Bronze Medal in the 1990 International Radio Festival of New York and a Certificate of Merit in the 25th annual Gabriel Awards. He has conducted the San Antonio Symphony Orchestra, the North Carolina Symphony Orchestra, members of the Atlanta Symphony Orchestra, Birmingham Metropolitan Orchestra, Symphony of the Hills, Alabama Symphony Orchestra, Birmingham Civic Opera and Town & Gown Theatre. He was founding music director of the Sunbelt Sinfonia and served eight years as music director of the Red Mountain Chamber Orchestra. He has been an adjunct instructor of music at the University of Alabama, University of Montevallo, Birmingham-Southern College and Samford University. In 1991 Les Fillmer presented a paper at the “Preparation for Tomorrow’s Conductors” conference at the University at Buffalo. In 1995 he was appointed music director for Alabama Ballet. His ballet repertoire includes full-length productions of Tschaikowsky’s “Nutcracker” choreographed by Thor Sutowski as well as the version choreographed by George Balanchine. Others include Tschaikowsky’s “Sleeping Beauty” choreographed by Wes Chapman and Roger Van Fleteren; Prokofiev’s “Cinderella” choreographed by Johann Renvall; Orff’s “Carmina Burana” choreographed by Ron Cunningham; Adam’s “Giselle” choreographed by Wes Chapman and Roger Van Fleteren; Tschaikowsky’s “Serenade” and “Allegro Brillante” and Gottschalk’s “Tarantella,” all choreographed by George Balanchine; Ravel’s “Bolero” choreographed by Ron Cunningham. Appointed chairman of the Department of Music at the Alabama School of Fine Arts in 1996 he also taught Music Theory, History of Western Music, Aural Awareness, Sight-Singing and Class Piano. In 2001 he became the second music director of the Gadsden Symphony Orchestra. From 1988 to 1996 he served as music director and conductor of the Alabama Youth Symphony. Between 1980 and 1993 Les Fillmer was a popular guest host of art music programming on National Public Radio affiliate WBHM. He has served on the Board of Directors of the Birmingham Music Club and in 1982 he received the Birmingham Festival of Arts Silver Bowl Award for his many contributions to the musical life of Birmingham. Currently, Les has created a unique band, called Ambisax, for individual special events and occasions. Perfect for dinners, cocktail parties and receptions and include standards such as I Left My Heart In San Francisco and Moon River; Latin favorites such as Yellow Bird, Girl From Ipanema and Desafinado; show tunes such as Soon It’s Gonna Rain and How Are Things In Glocca Mora? in addition to dance tunes and popular standards. For additional details about Ambisax and booking information please visit the Ambisax page or contact Les Fillmer.